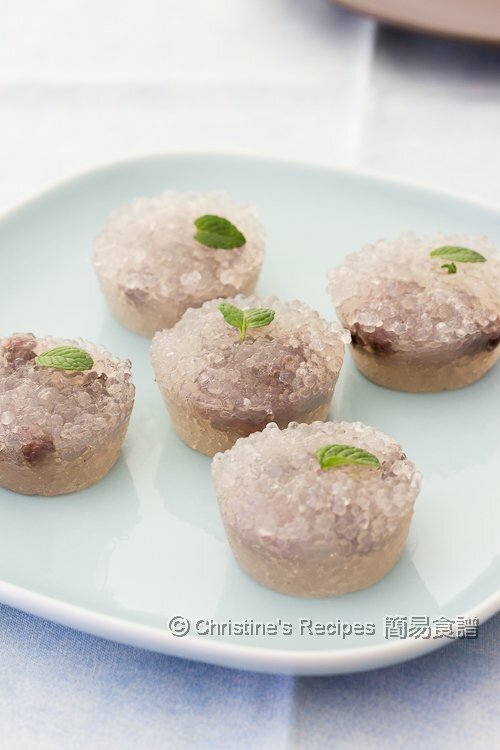 是罐頭裝，叫 sweetened read bean paste. 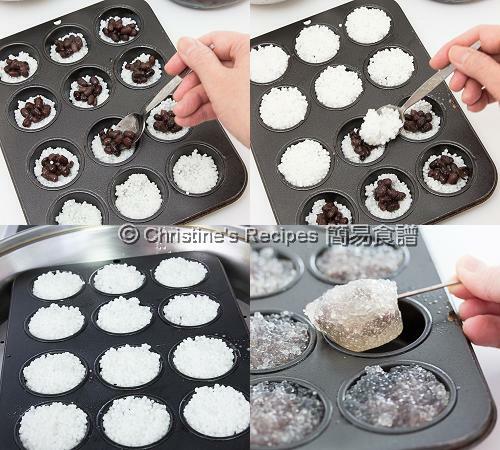 Hi Christine, if i do not use red bean paste, what other filling can i use? do you ever try any? fruits? any suggestions? thanks!! As my friends like this filling, I haven't tried other kinds of fillings. Guess that custard will do as well. Hmm...the cakes have to be steamed, I'm afraid not many fruits can be good. I would like to try this recipe but I don't have a scale. Can you let me know approximately how many cups of each ingredient I need?? Thanks!! can I Change from steam to bake as my wok is not big enough to put the muffin tray in? it won't turn dry if I bake? Thanks for the advise. You can't bake this dessert. Sorry. 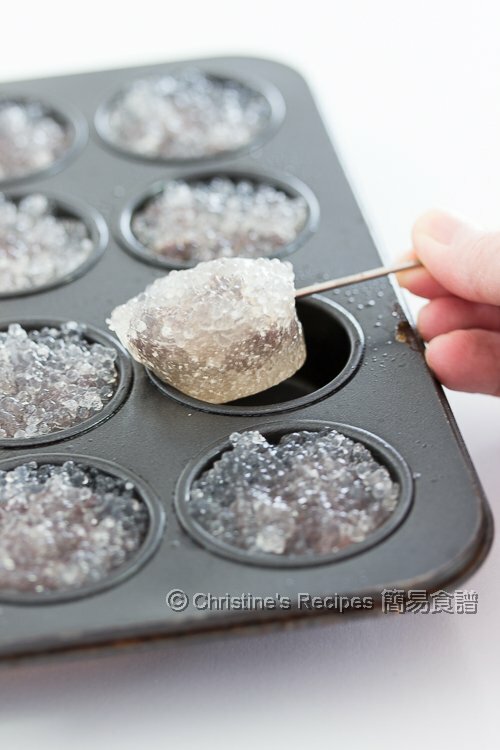 You might try some small tins or bowls, instead of using muffin tray. Sorry, it's a typo. You can't bake this dessert. It will turn dry. I think you can bake it too, as long as you put the whole rack in an even bigger oven dish half filled with water, and cover with foil? Tried today! Very successful! Thank you Christine! Is there any way we could keep the cake soft for the next day? For example, I finished a batch at 10pm, I stored it in a plastic container after it's cool down, then it became a little hard when we eat it on the next day evening at around 6pm.